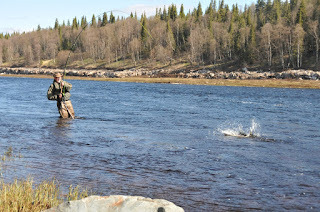 We had a really good days fishing yesterday across all of the camps – the morning was better than the afternoon for reasons we cannot work out but everyone caught fish and with another day of bright sunshine it was a lovely day to be on the river. The team at Pana landed 40 fish to their 8 rods with Carlos MA landing his first ever salmon and then going on to land another one in the afternoon. 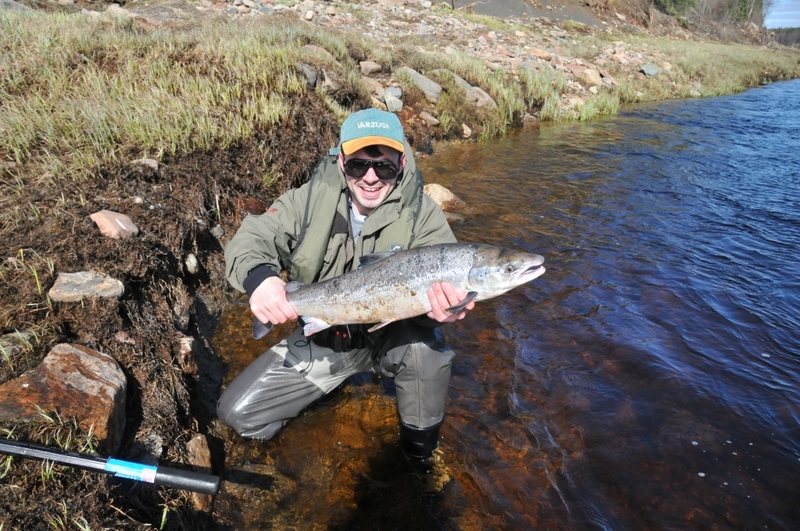 As is always the case at Pana, they landed some really good fish with plenty in the mid teens. The water is dropping a couple of inches per day and they are fishing floating lines already which is early for Pana as it tends to be slightly cooler up there. The 12 rods at Middle have really hit their stride early on in the week. 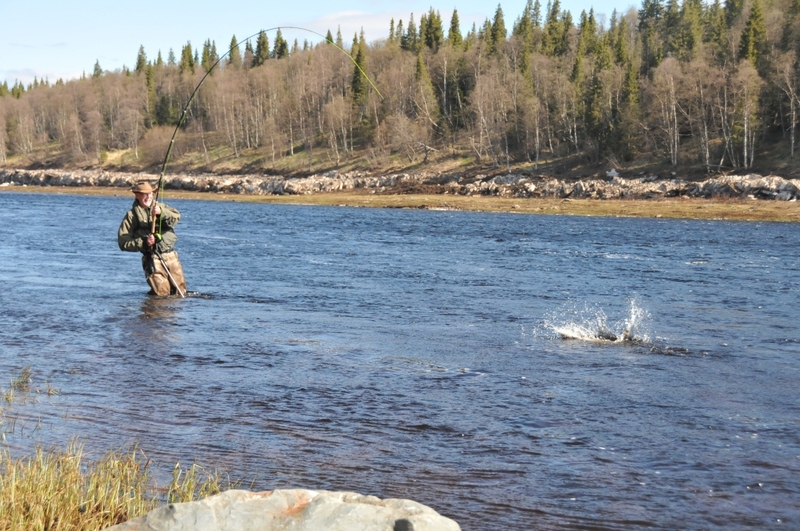 They landed 57 fish after the helicopter landed on Saturday evening and had another 121 in the book for yesterday. 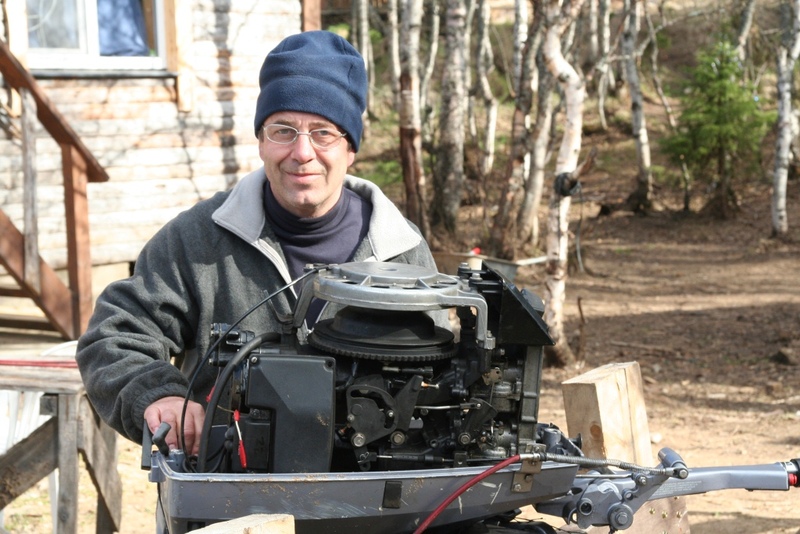 I asked Hugh if there was anyone who we should highlight having done particularly well. He said he would double check in the book and 5 minutes later read out 12 names! In the end we should probably pick out Robert H with his 15 fish for the day. At Kitza there was another first ever fish and this time it was Lucy M who was the star performer. Having done little to no fishing in the past, Tom took her out for an hour’s lesson in the morning and left her to get on with it for a while. 20 minutes later he came back to find her white with excitement having hooked and landed her first ever salmon. In fact, it was her first ever fish full stop. As with Carlos, there was no stopping her and she landed another in the afternoon to cap off a great start to her fishing career. 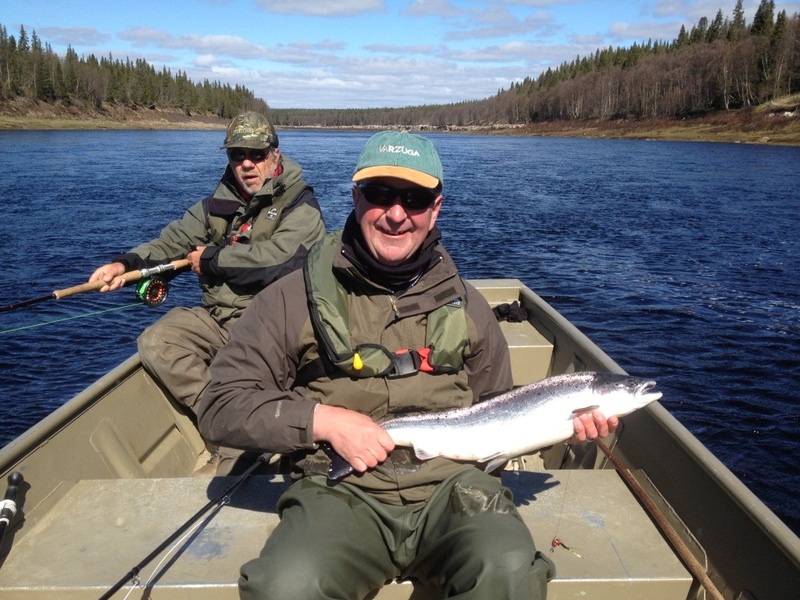 Kitza fished really well yesterday and the 9 rods finished with 63 fish – their best day of the season so far. Here at Lower we had a really good day and the 10 rods landed 56 salmon. Mark M had 9 of those which was a particularly good effort as he and his son Harry had been traveling for the best part of 48 hours by time they started fishing having been affected by the problems at Heathrow. 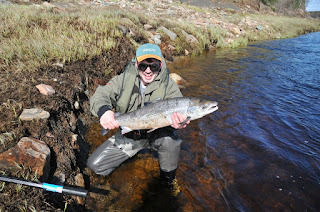 Simon J also did very well on his first full day of salmon fishing with a fly and had 7 in the book before calling it a day. He was out early this morning and hooked 5 fish before breakfast but each had got the upper hand on him and he was determined to convert more of his chances later on today. Boring though it is to report, it is another bright day today. Slightly cold but the huge blue skies above us show no sign of changing – it does not seem to be affecting the fishing in any sense but we could do with some rain to make boating up and down the river that much easier.